We answer your safari luggage questions on what to pack your safari clothing and gear into for your safari. You will learn why 'soft' and 'squashable' are the keys to ensuring that your luggage is safari-suitable. The majority of safari lodges are located in remote areas, with access only by light aircraft and not by airliners. This, in part, dictates the luggage to pack for your safari. 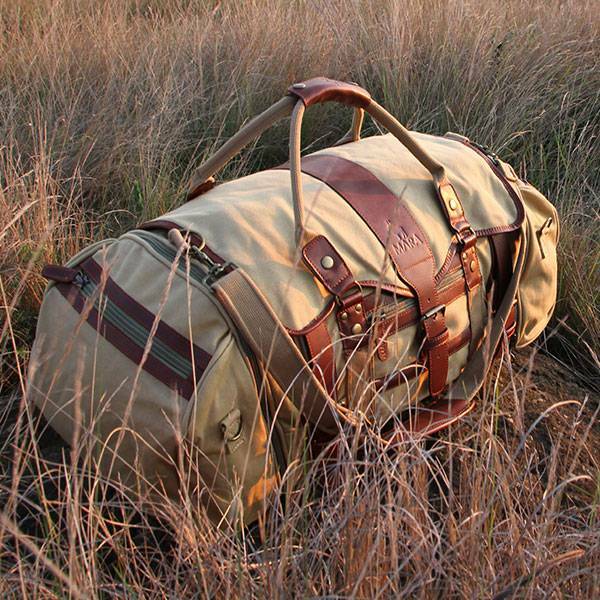 Top 7 tips for selecting the best safari luggage. Follow our safari luggage advice to find out what luggage - large and small - you will need for your safari. 1. For your main large duffel or holdall, choose safari luggage which is soft and squashable and which has no frame: This is especially true for safari travel to Namibia, Botswana, Zambia, Mozambique, Malawi, Tanzania, and Kenya. The reason for this is rather a practical one. 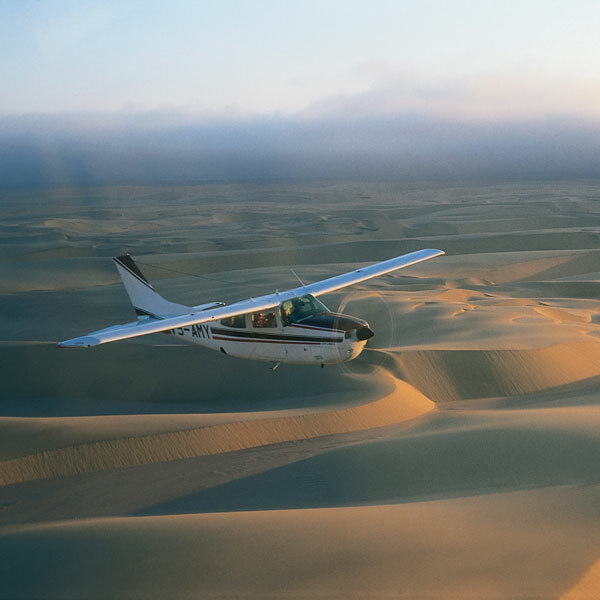 The majority of safari lodges and camps within these countries are accessible only by light aircraft - such as the Cessna 210 shown on this page. As a result, in order for your pilot to fit your luggage into the small, cramped hold, your luggage must not have hard sides, nor rigid frames or structure, and should rather be soft-sided so that the pilot is able to fit (squash) your bag into the plane. The same is true for some overland and expedition-style safaris where there will be limited space for luggage in the safari 4x4. 2. Check on safari luggage limitations: Please check with the safari company you have booked with about luggage limitations for your safari, as the requirements may vary from safari to safari. Where luggage weight limitations are specified, please note that - as the maximum take-off weight in any aircraft has to be strictly adhered to by pilots to maximise your safety on each flight - you may find that your pilot will not be able to take any luggage over the maximum allowed weight per passenger. In this instance, you may have to pay for your luggage to be flown separately. 3. The ideal size for main safari luggage: We recommend that your main safari luggage holdall or duffel should measure 70 x 30 x 30cm in size when full. 4. Carry-on safari luggage: Also take one one smaller carry-on type safari bag to use when you travel - and to take your binoculars and accessories on game drives and walks. 5. 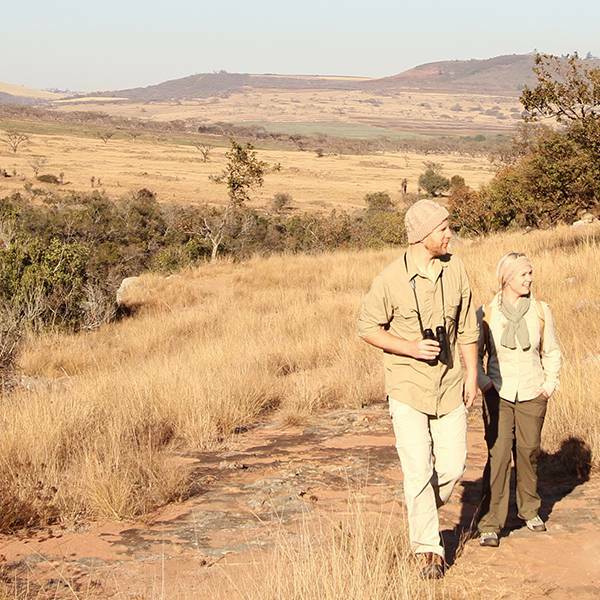 Walking safaris: For safaris with a daily walking element, we recommend that you take the large safari holdall as above plus a small safari satchel or safari backpack.This may be the same bag as your carry-on safari bag also. 6. Safari luggage to keep you hydrated: A small hydration pack may be useful on most safaris to keep hydrated, but they are essential on any active safari. With their bladder-system, the beauty of these hydration packs is that they pack flat when not filled with water (ideal for travelling to and from your safari) and then are simple to fill when you are on safari. 7. Let a travel trolley carry the load. : As you are not meant to take safari luggage with a frame, using a travel trolley which is collapsible is a good idea. Simply remove from your safari luggage when you do not need to wheel your safari luggage.